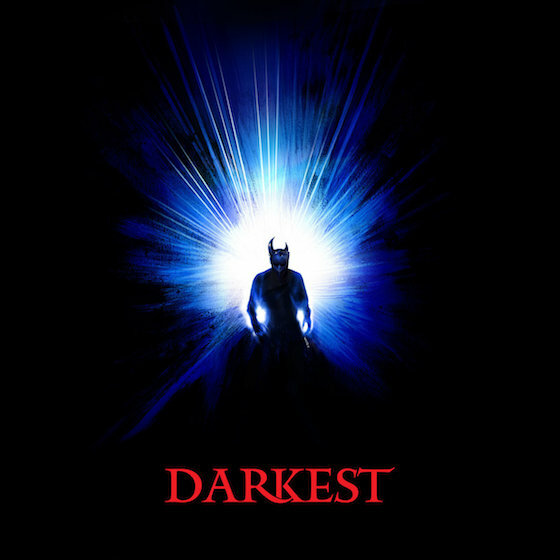 setting out upon an unholy path to reach absolute spiritual darkness...'"
Darkest's Light is a genuine masterpiece. That is one way to describe Darkest’s debut release of dark ambient sythwave tracks. Epic is another. Light is a stunning release that defies genres. This 8-track release takes listeners on a journey through a rather brutal and mystical take on the Dark Ages. Where we emerge from Darkest’s melodies; however, is up to your own imagination. With tracks this fully realized, do we ever truly emerge at all? I have my doubts as the landscape created here will tug at your own realities, begging for you not to leave…at least not for long. 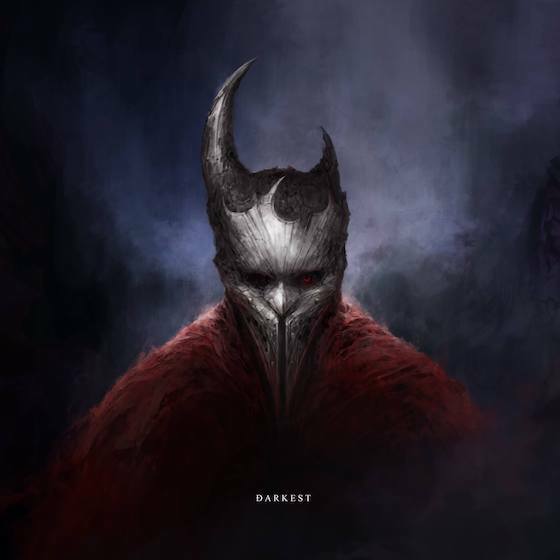 "Darkest proves to be a producer creating soundscapes that are desperately in need of a motion picture. Someone change that soon. PLEASE." The motion backwards begins with the iron clang of ancient cathedral bells. A sinister mood is quickly established as Darkest’s vision is revealed. This is heavy. It is going to be a truly transformative soundscape. With “Ave Generosa (feat. Kristine)”, we are slowly led – as if blindfolded – through a long dark tunnel. You can practically smell the death, the rot, and all the mold on the walls around us. Monks chant, and Kristine’s vocals shed no light whatsoever. Gone are her pop sensibilities, here the fantastic voice of hers provides ambiance and atmosphere as we make our way forward through the slimy darkness into the past. The percussion buildup of the ending finally gives way to “Acceptance” and, with an eerie sense of dread, the blindfolds are slowly removed and, thanks to shifting chord progressions, the denseness of the first track is somewhat expelled by an electronic theme that is both alluring and intense in its expression of immensity when facing a borderless unknown. This landscape is huge. And it comes across with the clarity and confidence of a sonic easiness that is beyond anything I’ve ever heard before. Ratcheting up the sure-footedness in SOUND and VISION comes “Dawn”. With shimmering synths and the same confident mood, Darkest paints an achingly beautiful portrait of an unearthly sunrise. There is a certain calmness here in this void we face and yet, even the warm light emitted from this aural panorama feels odd. And just wait for that change at the 3-minute mark; all is not well here. The vision presented here is darkly tainted, but it feels so very genuine that you will avoid shaking it off: this is the all-consuming territory of Darkest’s Light. Out of that echoing finale of fate emerges the evocative synth-lines of “Brightest Darkness”, a song that triumphs through the embankment of vapors surrounding the other tracks. Here, where the constant rhythm of percussion effects against the purposeful wave of synths clash, we get our first taste of unhindered hope. That is compounded by the album’s superb single, “Oceans”, and this world, as created and molded by Darkest, finds a sound that is brilliant and impenetrable. Ambience grows wings and absolutely soars to new heights. Absolute freedom must sound like this. But the higher we soar in this world, the further we have to fall. And, it is through “Penitent”, in which we come crashing back down to this crater of dust and rock. There is nothing green here. Only stains of what used to be. Life itself feels lost. And all of this is conveyed in the opening electronic drone in this track’s Vangelis-like extended opening. Coupled with “Ascension”, we have a fury that is cemented. These two tracks provide a rock-like layer to Darkest’s Light that is theatrical and absorbed and, with blips and other electronic coatings, they work in unison to hint at a better world to be discovered somewhere…on the other side of the light. My god. It truly is full of stars. Make no mistake here, the monolith that is this album is hiding something. That truth is revealed in the final track. This album, and to my ears “Eternal” confirms it, is full of heavy metal-minded mood and madness. The track rolls out with its grim and haunted opening, complete with monks chanting and crushing synths, but as soon the percussion lifts us off the ground, we are spiraling toward some seriously metalized locales. 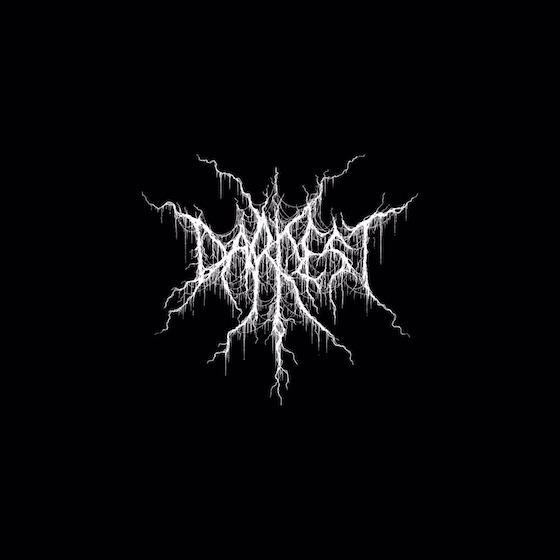 Darkest reveals much here and all of it has me headbanging into eternity itself. ROCK. ON. With the release of Light, Darkest proves to be a producer creating soundscapes that are desperately in need of a motion picture. Someone change that soon. PLEASE. 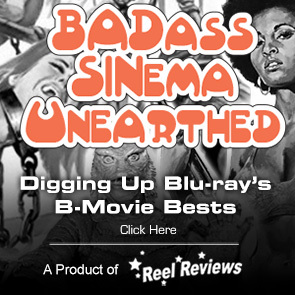 The film community could use a music producer as keyed-in to arrangements AND as visionary as Darkest. Light is a bold album of lasting convergences. It is the place where sound MEETS vision. Get your copy NOW.